​Wolves have confirmed their list of squad numbers for the 2018/19 season as the club prepares for its first ​Premier League game in six years at the weekend, with new stopper Rui Patricio handed a rather bizarre jersey for a goalkeeper. When Wolves walk out against Everton at Molineux in Saturday's evening kickoff, the Portuguese international will be wearing the number 11 shirt. 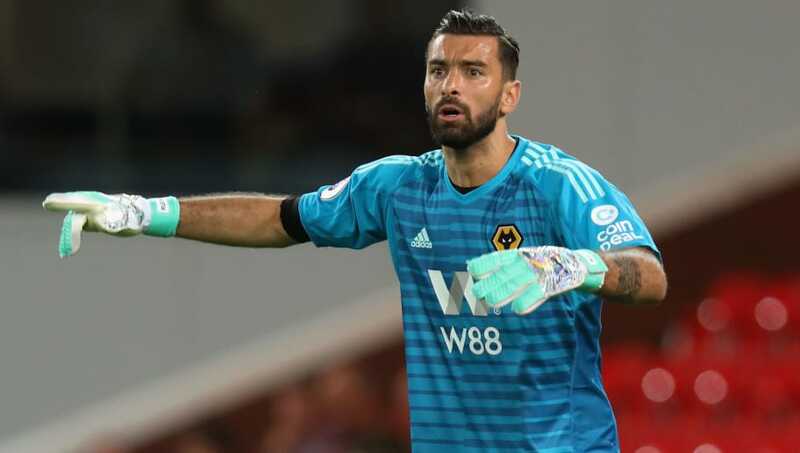 Patricio has worn a number 1 shirt for most of his career at club and international level, but Wolves have chosen to leave the jersey vacant this season following Carl Ikeme's recent decision to retire after the impact that treatment for acute leukaemia had on his body. New signings Raul Jimenez an Joao Moutinho will wear the number 9 and 28 shirts respectively, while Adama Traore has kept the number 37 he wore at ​Middlesbrough and Helder Costa has traded his old number 17 for 10. Deadline day signing Leander Dendoncker will wear the number 32 shirt.